Cargo Xpress is a New Jersey trucking company focused on delivering freight throughout the northeast and Mid-Atlantic states with regular overnight service to New Jersey, Eastern Pennsylvania the New York Metro Area. Our company performs LTL, Truckload and Intermodal freight services including the recovery of containers from the ports of NJ and NY with direct delivery to customer destinations or to the Cargo Xpress cross dock where items can be palletized for ease of handling. Cargo Xpress is based in Green Brook, New Jersey with direct access to major interstate roadways. We are family owned and operated by our third generation. 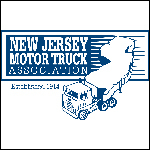 We hire all our own drivers and all of them are Hazmat Endorsed and carry TWIC cards allowing them entry into the ports of New Jersey and New York.